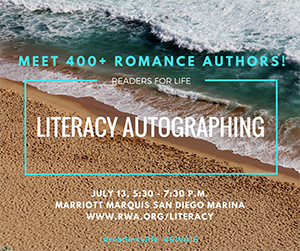 RWA READERS FOR LIFE Literacy Booksigning! If you are anywhere in the San Diego, California area on July 13, 2016 I recommend you hightail it to the Readers for Life Literacy Booksigning. It’s an event not to be missed and all proceeds from book sales going to literacy organizations. There will be over 400 authors on hand including Nora Roberts, Jill Shalvis, Sylvia Day and more! Including me! Not only is it a great opportunity to help others learn to read, but you can meet some of your very favorite authors. Here’s a list of the authors attending. It’s pretty darned impressive! CONGRATULATIONS TO WINNER MONICA STEELE! 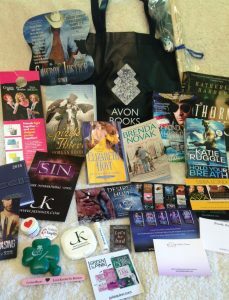 I’m giving away this amazing oversized Sylvia Day rolling tote bag filled with books and swag galore! All you need to do to be eligible to win is to leave a comment with these words . . . MEMORIAL DAY is a time to honor America’s Heroes. The winner of the giveaway will be randomly selected and announced Monday, May 30, 2016 at 8:00 pm (mountain time). Winner will be contacted by me via email. Winner will be required to provide a mailing address for prize to be delivered. Winner will be announced here on my website and on my Facebook pages. If winner does not respond to me by Tuesday, May 31, 2016 by 8:00 pm mountain time their prize will be forfeited and another winner will be randomly selected. I hope everyone has a spectacular weekend and takes a moment to thank our military for their sacrifices. **CLOSED** Mid May Tote Giveaway! Stay tuned. I still have many more swag and book filled tote bags to giveaway in the coming weeks! 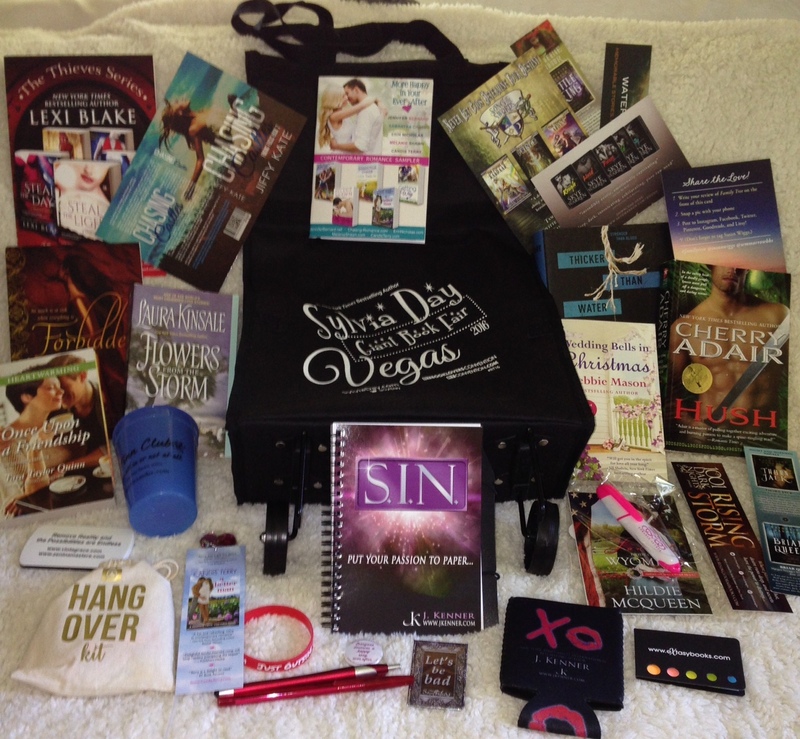 Ready for another awesome tote bag giveaway ? This week I will be giving away THREE! Which means there will be 3 winners! To be eligible to win one of these swag filled tote bags (each includes 6 books!) please leave a comment telling me what you like most about summer (the BBQs, the pool, guys without shirts, etc.). The winner of these giveaways will be randomly selected and announced Friday, May 20, 2016 at 8:00 pm (mountain time). Winner will be contacted by me via email. Winner will be required to provide a mailing address for prize to be delivered. Winner will be announced here on my website and on my Facebook pages. If winner does not respond to me by Sunday, May 22, 2016 by 6:00 pm mountain time their prize will be forfeited and another winner will be randomly selected. Thanks for playing along and good luck! Perfect For You is done! Perfect for You (Book 2 in Sunshine Creek Vineyard series) is done and has been delivered to my editor! 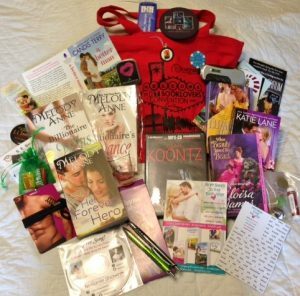 **GIVEAWAY NOW CLOSED** RT Tote Bag Giveaway #2! Congratulations to winner Misty Clarkson! Check back next week. There will be THREE tote bag giveaways!! 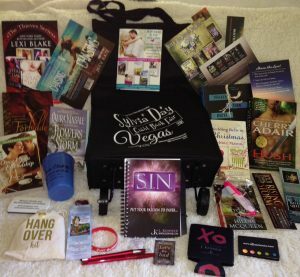 Ready for another awesome tote bag giveaway from some of the amazing things I grabbed up at the RT16 reader convention in Las Vegas? Here we go . 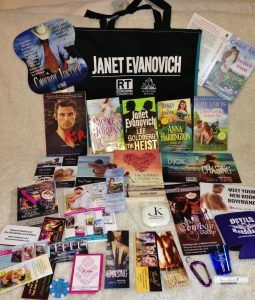 . .
To be eligible to win this Avon Books swag filled tote bag (including 6 books!) please leave a comment choosing one of these huge Las Vegas entertainers: Elvis, Tom Jones, or Wayne Newton and in one word, tell me why you chose them. The winner of this giveaway will be randomly selected and announced Friday, May 13, 2016 at 8:00 pm (mountain time). Winner will be contacted by me via email. Winner will be required to provide a mailing address for prize to be delivered. Winner will be announced here on my website and on my Facebook pages. If winner does not respond to me by Sunday, May 15, 2016 by 6:00 pm mountain time their prize will be forfeited and another winner will be randomly selected. So who would you scream for the loudest on a Vegas stage–Elvis, Tom Jones, or Wayne Newton? This giveaway is now closed and the winner is Melinda Ott! Congratulations! Everyone stay tuned, I’ll have another giveaway next week! CONGRATULATIONS to the Winners of my A Better Man Ebook Giveaway! Winners, please email me at candis.terry@yahoo.com with your preferred Ebook retailer (Amazon, Barnes and Noble, Kobo, etc) and the email address you use for that account and I will get you Ebook ordered right away! Please note I need both your email address and your Ebook retailer to order! All winners were randomly chosen using random dot org. Protected: A BETTER MAN Book Release Day! If you’d like to be eligible for a chance to win one of the ten ebook copies of my March 29 book release A BETTER MAN sign up for my newsletter fast! It goes out on Monday, March 28 and there’s a super secret handshake there that you’ll need to enter the giveaway. on Thursday, October 15, 2015 at 7:30 pm ET.